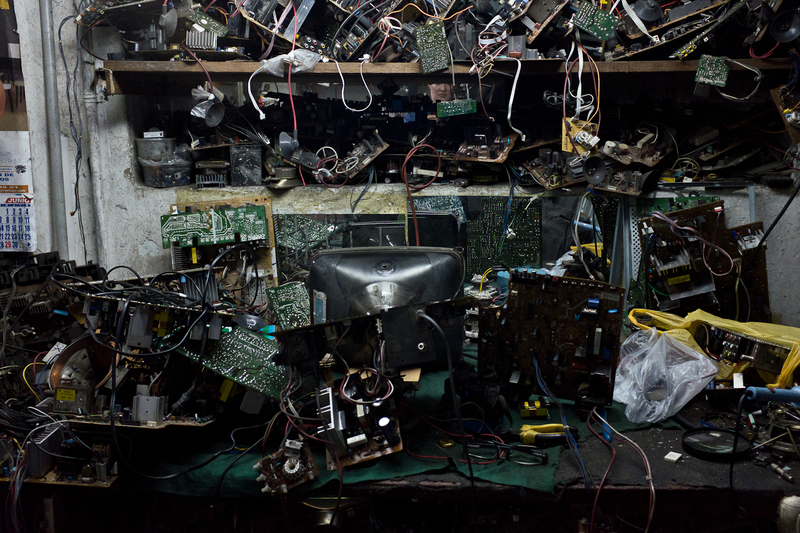 In Victor Arevalo's shop, it costs about $8 USD to repair a CRT TV. Repair shops purchase or hoard components from used TVs to fix their customers' products. Used parts are no longer available from the original manufacturer. Images such as these are often used to demonstrate the environmental hazards of electronic scrap flows, but closer inspection confirms that the space is, well, just messy. Though the components are strewn everywhere, they are simply inventory.